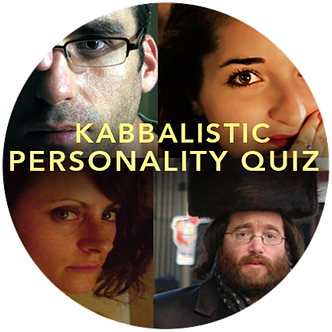 Before you begin, take my FREE personality quiz based on the wisdom of Kabbalah. It will give you deeper insight into your strengths and weaknesses and what you need to do to succeed. Within every one of us is a unique soul, distinct from all others, yet most have never learned how to uncover the beauty of our true identity and purpose. What is my contribution to the world? We all ask these questions but are we satisfied with the answers? The purpose of this course is to provide you with the tools that will give you the clarity and confidence to answer these questions and more. We will tap into the wisdom of Torah and Kaballah and connect on a deeper level. Discover what is most meaningful to you as an individual. These are just a few of the valuable lessons you will learn through this captivating multimedia journey to your inner self. A journey that will help you remove the many confusing distractions that make it difficult to hear your inner voice. A journey that will help you discover and maximize your sense of purpose both within yourself and the world around you. It’s a journey to the real you. • A free copy of my book, A Book About You a $24.95 value! Rabbi David Green, author of "A Book About You", studied music composition and has been recording and composing for decades. He has worked with some of the most famous names in music and is an award-winning film producer. David received semichah (Rabbinic Ordination) at the Mir yeshiva and has been teaching in various yeshivas, seminaries and educational programs for nearly twenty years. A renowned international teacher, speaker, and performer, he now lives with his wife and children in Ramat Beit Shemesh, Israel. Your Inner Voice already knows "the Real You"
Share Your Thoughts and Feelings About This Section. STEP THREE: TO YOURSELF- WHO ARE YOU? Inspired today - Inspired tomorrow? Remember that trip to Israel?